fantastico articolo sul nostro “Canzoniere” firmato David Weiss su SonicScoop. Potete leggare anche una fantastica intervista al nostro eccezionale produttore Joe Mardin, caldamente consigliata a fonici o aspiranti produttori. Of its many beauties, one of music’s most alluring features is its ability to overwhelm our senses. Becoming fully entranced by a recording is something that happens only occasionally, but when it does—well, that’s why a lot of us are in this business. One need not chase those cherished moments when listening to Canzoniere by the Italian group Canzoniere Grecanico Salentino, aka CGS. Overwhelm comes in waves when listening to this new 12-song set from one of world music’s most innovative artists. What you hear is classic and futuristic, ancient and advanced, liberating and engrossing—songs you can fall instantly in love with. 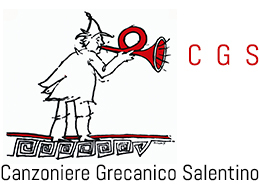 “Canzoniere” was launched by CGS on October 27th. The group’s roots date back to1975, when it was founded by Rina and Daniele Durante, in the Italian province of Lecce. In 2007, he handed over leadership of CGS to his son, violinist, percussionist and composer, Mauro Durante. From there, Mauro reformed CGS into a seven-piece band—with a dancer—performing a contemporary version of southern Italy’s traditional “Pizzica” style of music and dance. The group has come to be recognized as Italy’s leading and longest-standing traditional music ensemble. NYC-based music producer/arranger/engineer Joe Mardin had the hookup on CGS through Eric Beall, an old friend who is also the band’s New York-based publisher. Beall was arranging multiple co-writing sessions for Mauro in New York in the fall of 2015. Mardin was on the short list. His credits with a wide range of acts were one qualifier, encompassing Queen Latifah, Aretha Franklin, George Benson, Chaka Khan, Jewel, Ofra Haza, Raul Midon and more. A proficient conductor, composer, songwriter and drummer, Mardin’s global musical knowledge prepared him for the audition. So too did his lifetime of musical learning, taking place at the side of American music master Arif Mardin, Joe’s father whose 40+ year production and arranging career at Atlantic Records remade the soudtrack of our lives. Arif produced Aretha Franklin, the Bee Gees, Hall & Oates, the Modern Jazz Quartet, Bette Midler, Chaka Khan, Laura Nyro, Phil Collins, Barbra Streisand, and Norah Jones, winning 11 GRAMMY Awards along the way. From that first meeting, what unfolded for Mardin and CGS was an international voyage of songwriting, producing, tracking, mixing, and discovery. The result was Canzoniere, literally translated as “Songbook” and living fully up to its name, with that aforementioned way of overwhelming again and again. Mardin told us about his approach to managing international collaborations, and revealed a few of his key studio techniques as well. Once Mardin had committed to the project, there were a number of logistical challenges to be solved. 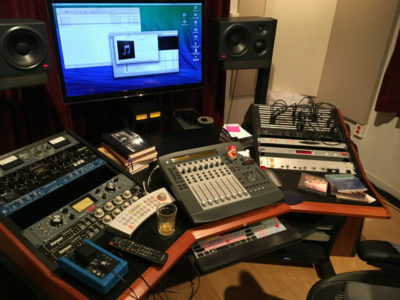 A workflow had to be established that would allow the songs to be written, recorded and mixed for maximum time and cost-effectiveness, even though the action was unfolding over two continents. While the band wrote some material in Italy, a significant percentage of it — and portions of some of the final tracks — came from the writing sessions and studios of some of Durante’s various New York songwriting collaborators. The roots behind Canzoniere Grecanico Salentino aka CGS run deep. “Mauro and I met at my studio in New York, NuNoise and first started work on a song that was in progress, Intra La Danza which I’d help finish,” explains Mardin. “We then started and ended up writing two more songs from scratch. Later I’d help him finish another incomplete song that I thought had promise which he had started writing with the artist, Piers Faccini in England. All four ended up on the album. “Mauro would take the sessions he started here with the various co-writers and overdub the rest of the band onto the songs back home in Italy,” he continues. “He’d then send MP3’s to the respective co-writers so we could hear the progress. He’d send me the session files or bring them on his next trip, I’d usually import them into the original sessions and we’d continue. Mardin and the team gathered up the session files from the other cowriters as well as the demo sessions for the songs written in Italy, typically arriving as Pro Tools sessions but also as track bounces if they were done in an alternate DAW such as Logic. From there, they determined what they could keep, what they’d need to re-record, and what needed new ideas. In December 2016 Mardin arrived in Italy for two weeks, with a recording road map all ready to go. Recording was primarily carried out in Daniele Durante’s basement Pro Tools studio, while overdubs and traditional tracks were cut live at Sudest Studio in Lecce. “Sudest is a great large room which also has a large iso booth — really another room,” says Mardin. “They have an Amek console and a bunch of good mics and outboard. The band also got a last-minute offer to do a gig in Sicily during the recording which they didn’t want to refuse — so it was pretty hectic but a lot of fun and great food of course! Joe Mardin, in foreground, produced “Canzoniere” as part of a well-coordinated global effort. Engineer Francessco Aiello is with him at the console. “The brilliant cellist, Marco Decimo also came in from Milan to play on several tracks including on an arrangement I wrote for violin, cello and clarinet on the song, Tienime. Guitarist Justin Adams (Robert Plant, Jah Wobble’s Invaders of the Heart) also came to town to play on the song Aiora. Emblematic of Canzoniere’s inventiveness is the lead track “Quannu Te Visciu.” Instantly captivating the listener, it’s gorgeous weave of vocals and rhythm sends a strong signal that this is a world music album with something extra. Bandleader, percussionist, singer and songwriter, Mauro Durante on violin at Sudest Studio. “‘Quannu Te Visciu’ was the first song Mauro and I wrote together from scratch,” says Mardin. “I had recently heard a piece of contemporary classical music which incorporated some spoken word, coincidentally enough in Italian and I suggested that we experiment with something similar as a starting point. That ended up becoming the vocal loop on the track performed by CGS singer, Alessia Tonde which opens the album. By the way, the majority of CGS’ lyrics are not in Italian per se but in Selentino, a dialect of Sicilian. For “Quannu Te Visciu” Mardin loaded a standard accordion sample to play the chords they were coming up with, which were then expanded upon by Massimiliano Morabito on organetto, an Italian folk accordion. “Great fun!” enthuses Mardin. “Mauro would put down some pizzicato violin parts which functioned somewhat like a funky guitar part. I think I also put down some additional chordal ideas which Emanuele Licci (bouzouki, guitars, etc.) would later expand upon on the bouzouki. “Mauro would be coming up with lyrical ideas and which singer’s range would best suit certain melodies. We put the song in one key but once back in Italy with the band, Mauro changed the key so as to better match the singers’ ranges to the melodies and harmonies. With Quannu as with the other songs, I know Mauro rehearsed the band on all of the parts we’d be recording when I’d come to Italy. While Mardin modestly classifies his NYC facility, NuNoise, “nothing out of the ordinary,” the fact is that it’s an inspiring personal studio. Providing an ideal analog/digital hybrid, grand piano, and drums in a compact space, Mardin is well equipped to write, record, mix and explore at NuNoise. The command center at Joe Mardin’s NYC studio, NuNoise. Helmed by a Digidesign Command 8 control surface, Klein+Hummel 0300 monitors, and Bantam patchbay, Mardin has a host of tightly curated analog pieces to choose from. Goodies on hand are mic pres including API 512 C, Neve BAE 1073, Chandler TG2, Mercury M72, UA 2-610, and the Shadow Hills Mono Gama. Outboard highlights include dual Blackface 1176 limiting amplifiers he purchased when Atlantic Studios closed, and a pair of vintage Altec compressors formerly at Greene Street Recording, the latter of which Mardin uses as OTB inserts for vocals or key elements. Mardin specified a Retro Instruments 176 Limiting Amplifier for the lead vocal on “Quannu” and several other songs. “The lead vocal switching from singer to singer on an individual song happens on several tracks on the album, and is a CGS signature,” Mardin comments. Benchmark and Lynx converters, along with Antelope clocking round out the setup. In general, Mardin will use all of the above for tracking, then set up a few outboard items for mixing and run the mix bus into outboard stereo compression. To mix “Quannu Te Visciu,” Mardin made the most of the tools at hand, with the approach for “Quanna” mirroring the same basic setup for each song. “Dedicated OTB inserts or sends and returns via a Lynx Aurora 16 for the two 1176s,” he says. “The 176 on Alessia’s tracks on ‘Quannu’ which includes the rap singing in the verses and the singing in the choruses, for the Altec 1612A limiting amplifier — a real favorite which you can’t use on everything but is great when it works — on the vocal loop and for my coveted Ursa Major Space Station [digital reverb] used only on the organetto on this track. “Plug-ins on this mix are mainly from Waves and MacDSP as well as SoundToys’ DeviLoc — a personal favorite — and Little Radiator,” he continues, “Plugin Alliance’ Vertigo on sampled bass, the Sony Oxford compressor/limiter, SofTube’s Dynamite and Saturation Knob, the former on the pizzicato violin and the bouzouki. Another real favorite of mine but not on this song is the Kush UBK-1. Inside Pro Tools, Mardin set up a typical four stereo sub-master (aux) configuration: Drums & Bass, Music, Vocals, and Effects routed to two outputs on the Lynx going to an Obsidian compressor and a Pendulum Audio peak limiter — all coming back to Pro Tools via the Benchmark AD. Tune in now for some wise compression insights. “The Obsidian was adding a little color but neither box was doing much,” says Mardin. “I find taming dynamics with a few devices/plug-ins in series doing a little, to be a little more transparent than having one do a lot. I started with a similar approach on individual tracks but then would also utilize compression in and out of the box, in series and in parallel for color. Despite Mardin’s expertise, tracking and mixing Songbook was not without its challenges. With its dizzying array of classic European folk instruments — most of which are virtually unheard of in today’s mainstream music sphere — Mardin had some new sounds and musical contexts to get his head around. “The main percussion instrument in Pizzica is the tamburello which is a frame drum of varying sizes with a tambourine bell lined frame,” he observes. Throughout Songbook,the basic grooves, functioning somewhat analogously to kick, snare and hihat parts are played on the tamburello. Of course, there are other percussion instruments on the album — the daf supplements backbeats on Quannu and on other tracks for instance — but it’s by design that there are no snare drums and just an occasional supplementary kick sample to subtly support the tamburello on certain tracks. “The tamburello is a challenging instrument to mic if you need it to have as much bottom and impact and ultimately function analogously to a conventional bass drum in a pop-style mix. When I recorded it, I’d have a 2-3 mics to help capture the spectrum of sounds/parts being generated. Whether with multiple mics or just one, in the mix I often used multiband compression and other tricks to get the various musical and sonic elements of a tamburello performance to sit satisfyingly in the (pop) mix. Neumann M147. There was also a direct feed. The project received the finishing sonic touches at Sterling Sound, where Joe LaPorta mastered — a step in the chain that Mardin sees as anything but an afterthought. “Joe and I had worked together once or twice before and it all came together,” Mardin states. “At a place like Sterling, not only do I get Joe’s expertise but with the advantage of being in a more neutral and revealing listening environment, he will also have tools to add perhaps a smoother final bit of high end than I might be able to do. Much like the musical DNA of Canzoniere was steeped in equal parts tradition and advanced thinking, so too is that of the album’s producer himself. Joe Mardin began observing and collaborating with one of popular music’s most influential producers ever, his father Arif Mardin, from a young age. It’s an utterly unique vantage point that informs all the art he touches. “The Greatest Ears in Town” shares Arif Mardin’s huge influence on music, from inside the studio. “My father is always in the back of my mind,” states Mardin, who produced and directed the 2010 GRAMMY nominated film, The Greatest Ears in Town: The Arif Mardin Story in tribute to the GRAMMY-winning producer who passed away in 2006. “It’s not so much on a project-to-project basis, but on things he considered priorities, what he’d say about the producer’s job: ‘I work for the artist but I’m not a yes man.’ If you have a creative disagreement with the artist, you make your case, verbally and maybe musically, too, but at the end of the day it’s the artist’s record, their name and face on the cover. For Joe Mardin, spanning space and time with CGS was worth all the miles and careful logistics – especially the effort that kept him face-to-face with international master musicians. “The essence and beauty of this album is the collaborations on different continents,” he reflects. “But I’m also old school in that I think there is still value in the level of subtlety and service that the producer being present whenever possible provides.